When he pretended his martini olives were eyes. 8. 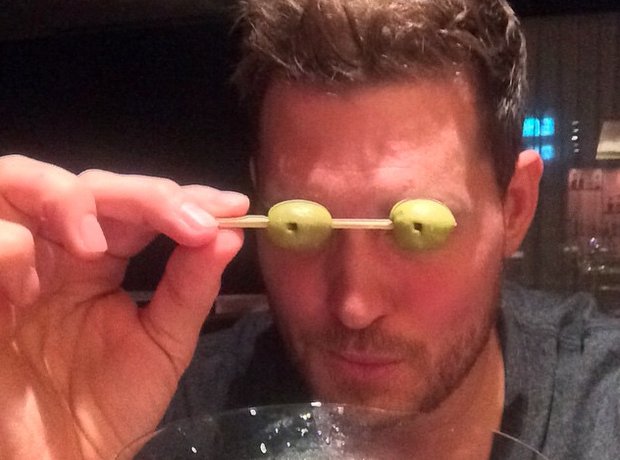 When he pretended his martini olives were eyes.